Born in Medellin, Colombia, in 1985. At age 10 she has its first contact with the world of origami from a book gift from his parents. then develops a self-taught approach but attached to the classic folding processes. It is not until start folding with other origamists Medellin starting to develop a differential style. The initial influence of Daniel Naranjo and his studies in Graphic Design complement and nurture their process with the paper gradually adding an aesthetic vision of the design process leading to the creation of models with a unique style. In 2007 the “AguaPapel” project, which has led to a thorough investigation into the manufacturing process specially designed to be folded papers begins. 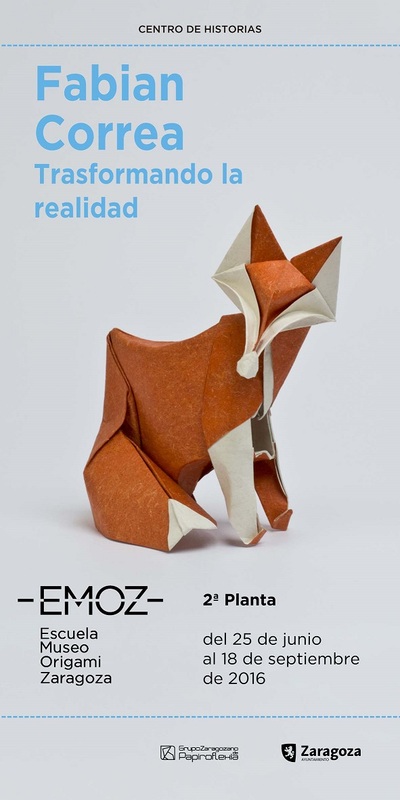 Today AguaPapel is employed by origamists around the world who now can also enjoy this exhibition that brings all attendees for their aesthetic vision of origami.